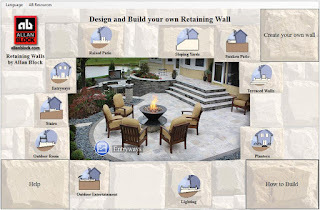 The Allan Block Blog: How do I figure out how many retaining wall blocks I need? How do I figure out how many retaining wall blocks I need? Are you thinking about building your next outdoor living space project with Allan Block products? Do you have an idea what you want to build, but you don’t know how much material to buy? Allan Block has some great software applications to help you take your project to that next step. 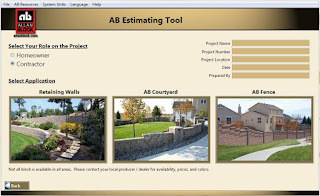 The AB Estimating Tool is a great resource for quickly generating material quantities that you can take straight to a contractor or hardscapes dealer to get your project started. Are you looking for something that’s a little more visual? Do you want to lay out your project before you get a material estimate together? 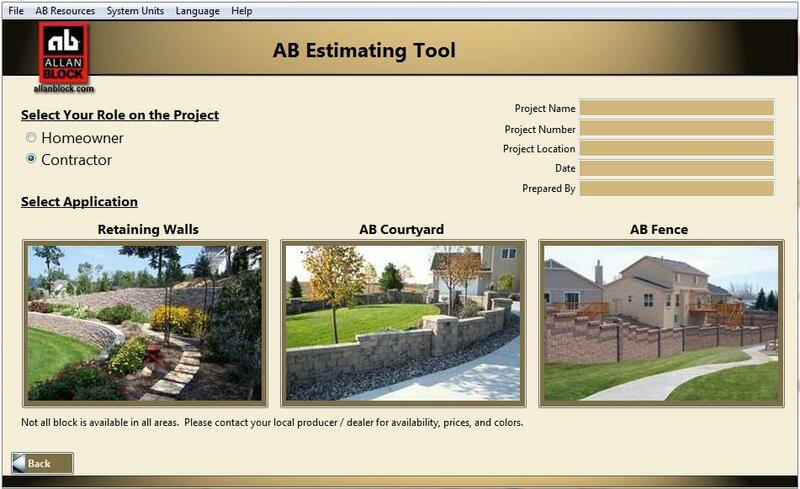 The AB Retaining Walls application walks you through the retaining wall design process from start to finish. You can even use the application for design inspiration by looking through Allan Block’s various photo galleries.